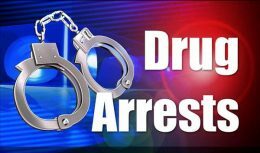 The wife of a murder suspect Kudu Roshan and one of his accomplices have been arrested with heroin in their possession by the STF today. 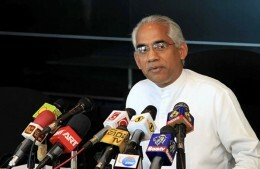 A conclusive decision had not yet been taken regarding former Defence Secretary Gotabhaya Rajapaksa contesting as a candidate at the upcoming Presidential Election, Opposition Leader Mahinda Rajapaksa said. 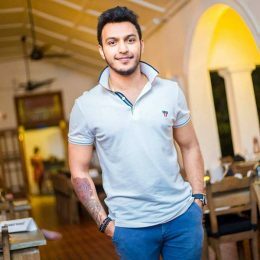 Singer Nadeemal Perera and a prison officer, who were arrested along with the drug kingpin “Makandure Madush” have been deported from Dubai and arrived in Sri Lanka. 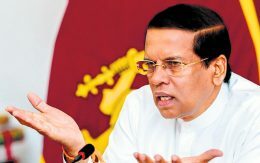 With Sri Lanka imposing power cuts once again, inconveniencing the public, President Maithripala Sirisena yesterday (26), appointed a three-member committee to look into the power cuts and find solutions to the on-going power crisis. Plantations in Sri Lanka that supply tea stamped slavery-free to top global companies are under investigation by ethical label groups after an expose found illegal wage deductions that have left some workers ill and unable to afford healthcare. 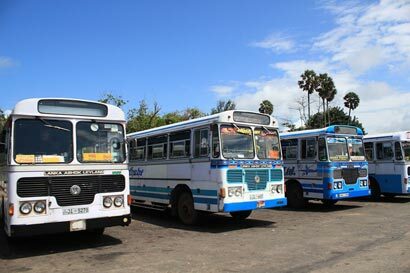 Western Province Road Passenger Transport Authority said yesterday new laws would be introduced from April 1 to make it compulsory to paint private buses in blue.